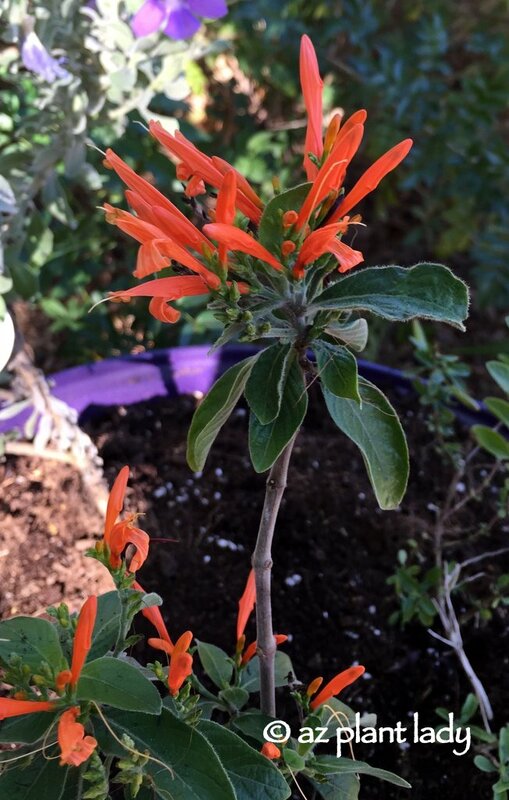 Plants that stay green all winter while also producing flowers are somewhat rare in the Southwest, which is why Mexican honeysuckle (Justicia spicigera) is one of my favorite additions in landscapes I design as well as in my own garden. Orange, tubular flowers appear throughout the year, with the heaviest bloom occurring in spring. Hummingbirds find their flowers irresistible. The lime-green foliage looks great year round and this small shrub thrives in light, filtered shade. For more information on this latest drought tolerant and beautiful plant, including what plants to pair it with, check out my latest article for Houzz.